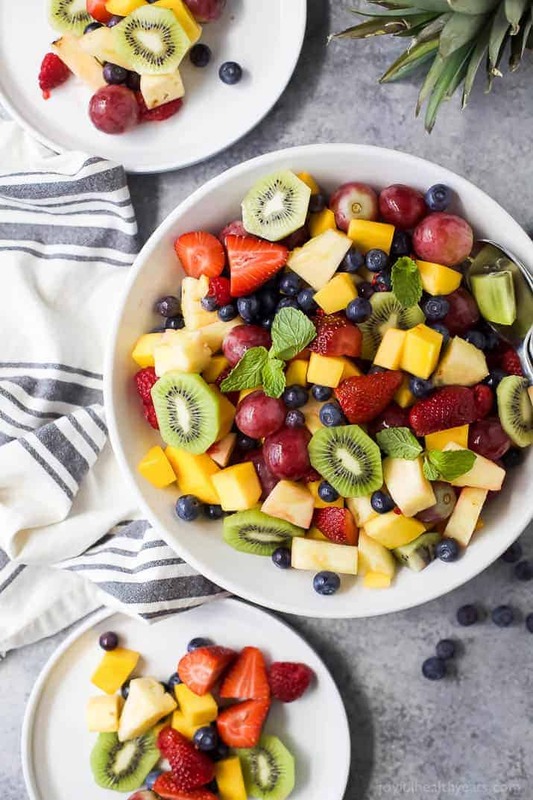 The BEST Summer Fruit Salad filled with loads of fresh fruit – it’s the perfect refreshing salad for the summer! The BEST Summer Fruit Salad filled with loads of fresh fruit and dressing FREE. 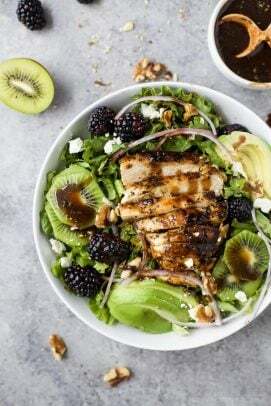 It’s the perfect refreshing salad to have around all summer long that’s naturally gluten free. Things are starting to warm up around here, aka Texas which means we are back to pool living on the weekends. Honestly, one of the best things we did when we moved into our new house was put a pool in right away. Not only do Mike and I enjoy having it, but Cason loves it. He will just go outside and play in the pool for hours. It’s great! It’s kinda crazy to think that as things get warmer, summer is getting closer. The other day Cason told me he has 42 days till he is a 1st grader. School is out in a little over a month and then the summer festivities officially begin. Part of me is nervous because I will have both kids home all day, and mentally that’s exhausting but I’m also super excited. Summer is my thang! I love the weather, the sun, living in my swim suit, staying up late hanging with friends and all the food! One of the staples in our house during the summer is fresh fruit! 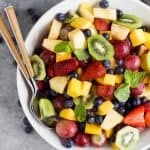 Lately, Cason has been all about Mangoes and Kiwi so this Summer Fruit Salad is packed with those. 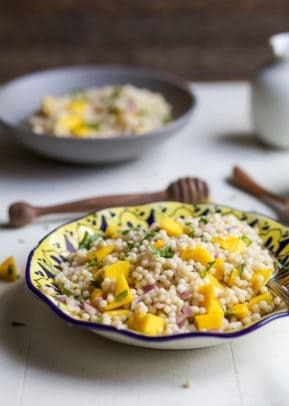 Along with the mango and kiwi, this salad has fresh pineapple, grapes and all the berries. Because berries in the summer are a must! Most fruit salads that you see online will have a “sauce” or dressing to toss everything in. But honestly, why mess with nature. 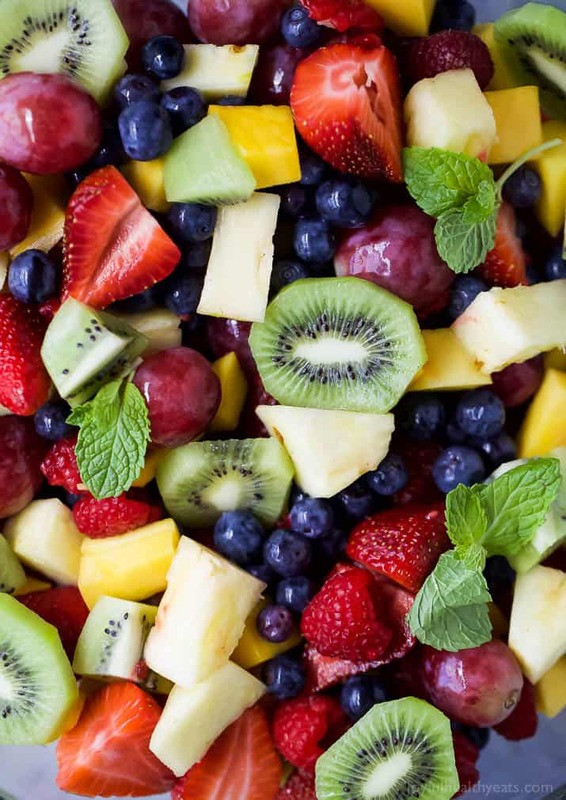 This fresh fruit salad is perfect on it’s own. 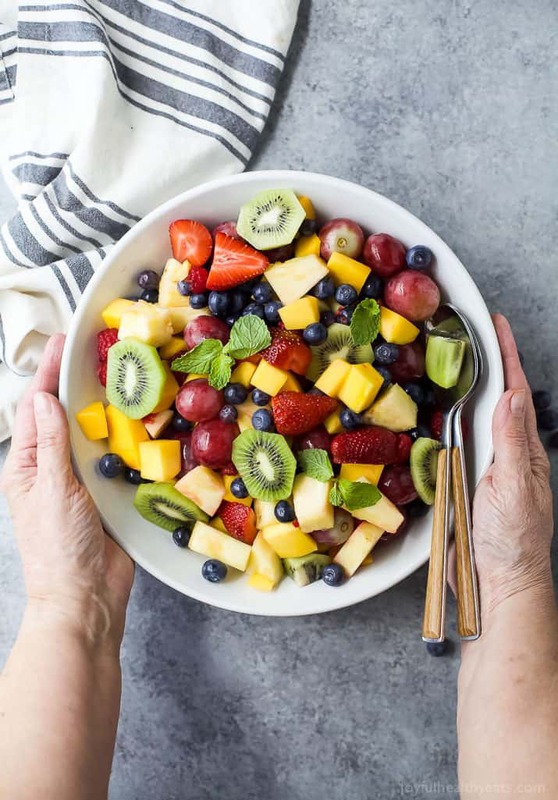 And when you toss all the ingredients together and get a variety of fruit in each bite you’ll agree. Don’t mess with perfection. The only work that’s needed in this salad is chopping. Once you finish all the cutting, dump everything into a big bowl. (and when I say big I mean BIG) Then enjoy it the rest of the week or bring it to a summer BBQ and watch it disappear in minutes. It’s the perfect salad to have around all summer long. 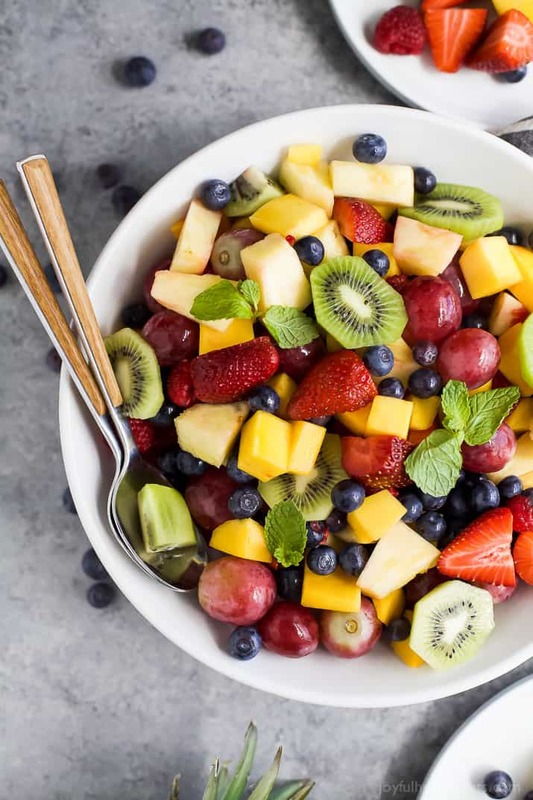 Add all of the fruit to a large bowl. Gently toss with a wooden spoon. 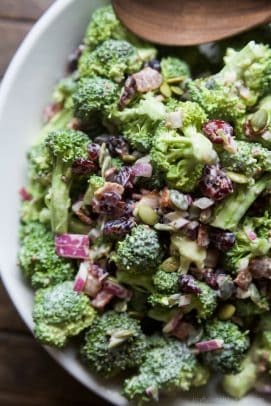 Want More Summer Salad Recipes? This looks so refreshing! 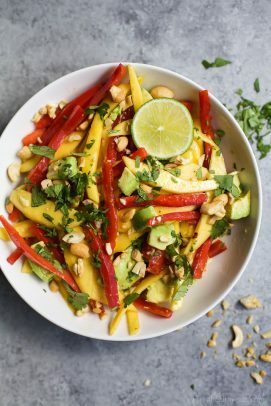 Love a good summer salad! Me too! Light fresh and easy is the way to go! I just returned from a trip to Europe where we visited many cathedrals. The first thing I thought of when I saw your beautiful fruit salad is stained glass windows. Simply stunning! Ohhh now that’s a huge compliment! Thank you Renee! Such a big bowl of beautiful fruit salad! I can’t resist! 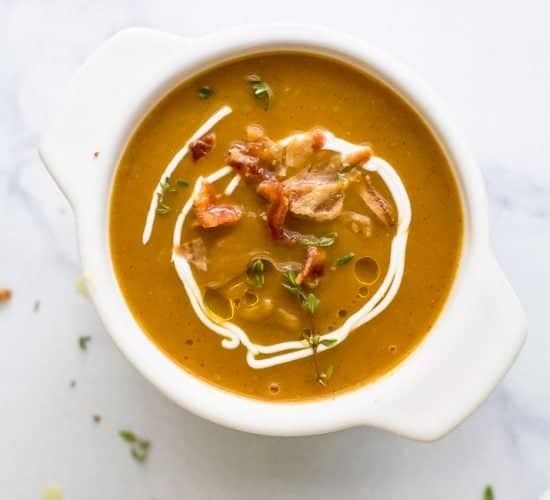 Bursting with flavors! Love this! Fruit salad is one of my favorite foods! I love how you can really add anything! Loving all the flavors this bring together! I love everything in this bowl! Such a pretty salad! Beautiful. 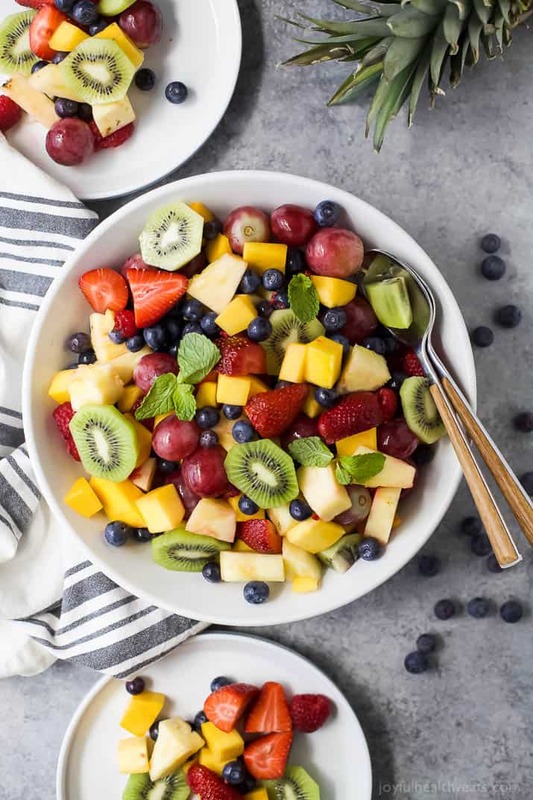 There is nothing like a good fruit salad, this salad looks, and I am sure mouthwatering. I cannot wait to start making this. Yum! It’s one of my favorite sides in the summer.. gimme all the fruit!